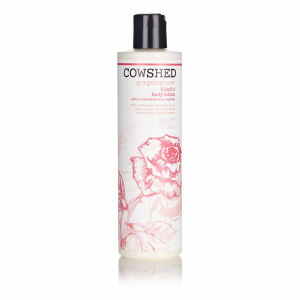 Designed to deeply moisturise and nourish the skin, the Cowshed Gorgeous Cow Body Lotion boasts an array of natural ingredients to leave you feeling refreshed, replenished and truly beautiful! Using Shea and Cocoa Butters to deeply moisturise, Linden Blossom Essential Oil, used for natural detoxifying effect, and French Lavender Essential Oil to induce relaxation. K.D.